Ugritsa E. (strongyloidiasis) – how to identify dangerous parasite? Ugritsa E. - roundworm parasite, dwells in a person's body, 12 mainly in the duodenum. This parasite causes sick extremely unpleasant, and sometimes deadly disease - strongyloidosis. The parasite is widespread in regions of subtropical climate zone, as well as in the tropics. Much less intestinal ugritsa found in temperate regions. Cases of infection in the CIS countries. Often ill strongyloidosis residents of China and Japan. And most of these helminth infection recorded in Egypt, as well as in the surrounding areas to it. Ugritsa - nematode in the form of small-sized thread. Female: length slightly exceeds 2 millimeters, male - smaller, order 0,7 millimeters. They have some sort of lip, disposed around the mouth. The tail part in females thickened. Dimensions parasite eggs vary between 30h50-34h58 micrometers. Each egg shell is provided with a high. The life cycle of this parasite relatively complicated. Generation willingly living worms are replaced at ugrits parasitic. The free-form worms found in soil. When the female extends the fertilization process, it lays eggs directly into the soil in a very large number of. by the way, inside them already have larvae. The larval form of the worm comes out within a few hours after the laying and feeds on organic substances. Then there is a single molt and rapid growth to reach maturity. If the conditions are unfavorable for the worm, the non-invasive initially rhabditiform larva passes the transformation process, becoming a filaria. This state of helminth and becomes a cause of human strongyloidiasis. Filariform larva introduced through the skin into the carrier body, Kojima may be a man, and then in the process of migration through the bloodstream and / or lymphatic system is in the main body of the alveoli of the respiratory system - the lungs, where it is up to the development of sexual maturity. Ugritsy fertilized in the trachea or bronchi carrier. Upon completion of fertilization worms the airway extends to the throat - there happens swallowing it together with phlegm, either with saliva during meals. So the worm reaches the intestine, where it lays its eggs. Egg output rhabditiform larvae, they in turn leave the vehicle, going outside with feces. In some cases rhabditiform individuals can not get out, they just go into filariform, already mentioned above, form. This stage of development of helminth falls again into the blood vessels of the sick, penetrating into the intestinal wall and re-repeating the cycle of development (this is called autoinvaziya). This phenomenon occurs when there are difficulties in bowel movements, or other causes, which do not allow the patient to get rid of feces during 24 hours or more. Sexually mature adult worms infest the most part at 12 duodenum mucosa, and sometimes in the envelopes of all of the small intestine, including those in the transverse colon and the appendix. Often, there is a penetration of the uninvited guests in the biliary tract and pancreatic duct. People usually become infected from a sick person strongyloidosis. There are many cases of simultaneous destruction and intestinal hookworm ugritsey. Carriage pathogen strongyloidiasis starts after contacting the person with contaminated soil and water. This occurs when walking barefoot in places, which made the uncontrolled discharge of waste water. Important! Walk on the grass, especially in the vicinity of the reservoir, It may not be so harmless, as it seems at first glance! The mechanism of action on the organism of agent strongyloidiasis is a mechanical component development and sensitization. Mainly affects the gastrointestinal tract, increases intestinal mucosal edema, it becomes congested, there are small hematoma. A characteristic phenomenon is the erosion, and besides - hyperplastic changes in the regional lymph nodes. Eosinophilic infiltration of pulmonary tissues also relates to characteristic changes in the development of the disease. We decided to pour strongyloidosis two phase flow. Early. 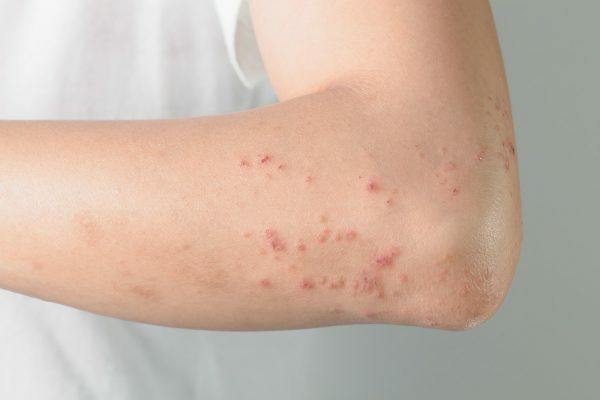 The larvae migrate in this period in the body of the sick, causing hives, itchy skin, febrility, dermatitis. If you spend the most common blood count, shows the result expressed eosinophilia. On X-rays detected by eosinophilic infiltration of the lungs character. The presence ugrits in the respiratory system organs manifest in difficulty breathing and muco-purulent secretions from the respiratory tract. Symptoms resemble those of bronchial pneumonia: there are pains in the chest area, bloody-mucous sputum by coughing, which contains ugritsy in the larval stage of development. 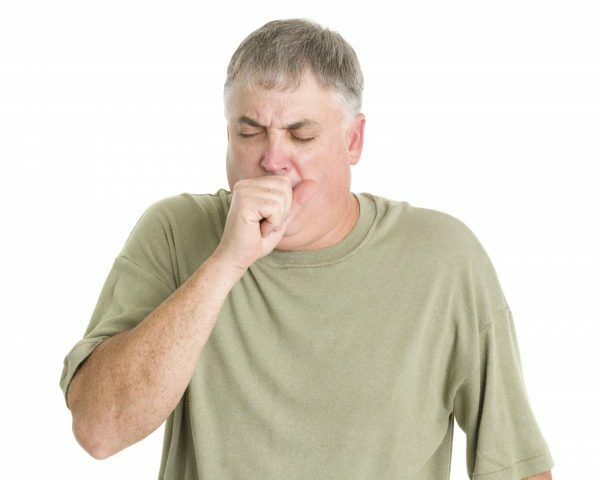 Asthma is the misdiagnosis, patients who often put, suffering strongyloidosis. Ugritsy in this period reached puberty. mild form. Person concerned dull pain and a burning sensation in the pit of, as well as nausea and sometimes - mushy stools. severe form. When the patient's illness started form concerned intensive cutting pain in the abdomen, vomiturition, liquid stools to 6 once a day, containing mucus and inclusion, sometimes - blood. Diarrhea often alternate with constipation. The acidity is reduced, develop colitis. In the blood revealed eosinophilia phenomenon, sometimes - anemia. Extremely severe. With this development of the disease does not stop diarrhea, and feces are putrid smell. Man suffering from dehydration, developed secondary anemia and cachexia, as well as the detachment of the mucous, which resulted in developing a secondary bacterial infection, sepsis and death. With adequate and timely treatment of disease prognosis in strongyloidosis - favorable. Helminth-infected person can be a carrier for a lifetime, without having the slightest suspicion that, that his body inhabited by intestinal ugritsa. Symptoms may be completely absent. note! Serious violations in the work of the internal organs may occur in carriers in disorders of the immune system, for example, during infection, or the presence of HIV infection. If the patient revealed this infection, even in the early stages of the disease it is recommended to be tested for strongyloidiasis and other parasitic infestations. To confirm or deny the presence of the pathogen in the body strongyloidiasis is possible by means of stool analysis putting, which seek rabditnuyu larval form by harnessing the method of Berman. The samples can also be detected and parasite eggs. To analyze in patients taking only fresh feces, because over time increases the likelihood, that the desired pathogen larvae larvae will be confused with other gastrointestinal parasites or from the free-living variants helminths, the basis of power of which are bacterial organisms. The method of choice for detection of strongyloidiasis is to conduct studies of saliva, the contents of the duodenum, sputum. 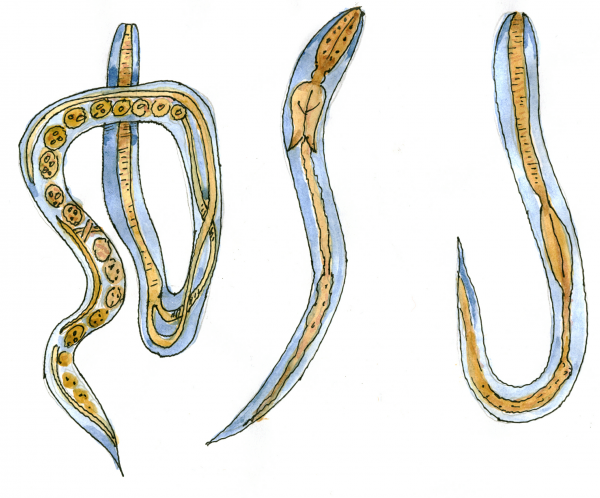 Now in development are serological methods for identifying these helminths. Treatment of parasitic diseases as described is performed by applying gentian violet and thiabendazole, any such funds, how cambendazole and ivermectin. For adults, the dosage is 0.08-0.1 g three times a day. ● For the preparation of children used in single quantities at 0,005 g, wherein the daily amount of drug should not exceed 0,01 g per each additional year of life. The treatment lasts for 15 day. Through 1 – 1,5 months. the treatment is repeated and continued for 10 day. Thiabendazole are used for such a scheme: 25 mg / kg, which means approximately 1,5 g per day for an adult of medium build patient. Therapy lasts only 2 day. It is believed, which is absolutely effective means, working against the pathogen strongyloidosis sure - not yet developed. Important! In order to accurately detect the presence of the parasite and adequate therapy - always consult a physician! 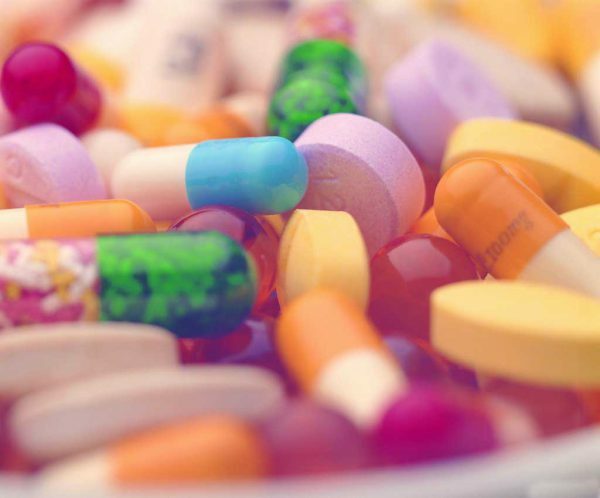 Self-medication can negatively affect your condition. Measures for the prevention of disease spread strongyloidiasis include security measures, aimed at protecting soil from contamination with human faeces. 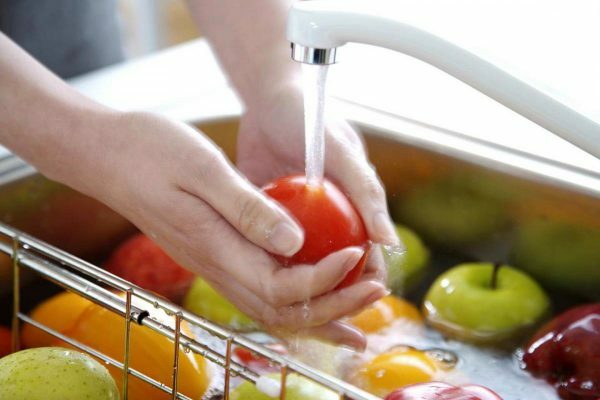 You should also comply with hygiene standards, thoroughly wash plant products, edible, or conduct their heat treatment. Health education in areas with high incidence of helminthiasis data - is also very important as a measure of prevention. Worms in pregnancy - the risk of infection? How to get rid of them? Glistnaya invasion – Symptoms in adults. Where can live parasites?